My name is Miranda Kulig. I'm twenty-two years old, I'm a christian, and I'm a writer. I haven't always believed I could write a book. When I was in middle school, someone told me that being an author wasn't a real job and I would need to do something that would make me money. So, I put writing aside and tried to fall in love with something else. I wanted to be a nurse, a counselor, an interior designer, a teacher, and more--but nothing felt right. Then, my junior year, my little high school offered its very first creative writing class. Writing entered my life again, and I knew there was nothing else in the world I wanted to do more than write. I'm a writer--always have been, always will be. I finished my first book, Unperfected, just about a month after I turned seventeen--three months into my senior year of high school. I then went on a very bumpy road to publication, which ultimately led me back to where I started. I am currently working on a project titled Awaken and my debut poetry collection, Breaking into Butterflies, released this past October! I started this blog (originally titled Dreams and Dandelions) at the beginning of 2015 simply because I thought it would be good to get myself into the writing world, and I haven't looked back! I strive to share my writing journey with aspiring authors and give advice based on what mistakes I have made and lessons I have learned. I hope this blog inspires those who read it to always put their best into their work and never give up! When I'm not writing, you can find me watching sunsets or snuggling babies. I basically live at Target, and I really, really (really) love Starbucks. 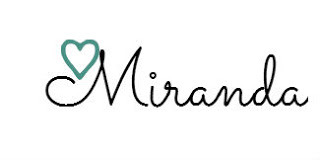 Thank you so much for taking the time to check out Miranda Writes. If you ever stumble across a post you love, please don't hesitate to share it! And if you never want to miss a post again, make sure to subscribe! Yes, that's a chicken. Her name is Pecky Becky. I've definitely started editing, and I'll be sure to check those out!! I forgot to mention this, but I'm also on Wattpad! If you get the chance, I'd really appreciate it if you read my first draft. Search for The SOLE Project on Wattpad, and you'll find me! Thanks again, you're awesome. Hi! My name is Emma, and I'm fourteen. I'm working on a book right now called "Masked". It's about a girl who lives in a Theater, a place where everyone is forced to wear a mask all day, every day. It's what they're known by. I'm Christian as well, so it's kind of Christian themed. But I'm only on page 83, and I'm already stuck. I've been working on it for more than a year, and it's just not going anywhere. Do you have any suggestions? Hi Emma! I'm instantly hooked by your story. It sounds so intriguing! If you're stuck, I suggest trying to figure out WHY you're stuck. Is it because you're bored with the story? Are you focusing on making everything too perfect? Are you just out of ideas? Once you figure out why you're stuck, it can be much easier to then get unstuck. Since this is your first draft, remember to just focus on writing and getting your words down, and know that you can always go back later to fix and rewrite. Sometimes when I'm stuck with a story, I like to sit down and imagine different scenarios to put my characters through. What if someone got shot? What if a new character showed up? What if someone suddenly got really sick? Etc. It's a good way to get your brain working again. :) Good luck! I got to the end of one of your posts and loved seeing the verse from Colossians. That's when I had to jump to your "about me" part, and it's exciting to see another writer who's a Christian. I hope your writing is going well and that Jesus will use it for His glory! I also want to be a writer when I grow up but whomever I share my passion with , they make me feel down by saying: You shouldn't be a writer cause you can't and writers don't earn well. I need advice on how to avoid these negative comments and pursue my dreams. Hi, I am Ifeoma. I would love to read unperfected when it's done. What exactly is your writing process like? What do you do after the first draft? Do you write everyday? Aww thank you so much! That means so much! I am so thrilled my blog has been able to help and inspire you. Your comment just turned my whole day around! You're very welcome :D Your tips and ideas are lovely, and I'm happy that I made you feel better!